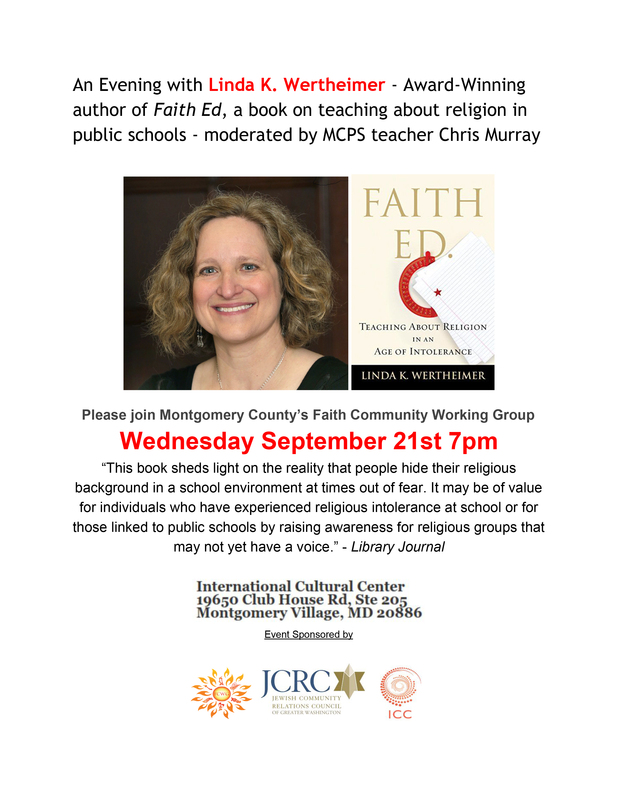 Please join the Faith Committee Working Group to welcome award winner author Linda K. Wertheimer as she discusses the intersections of religion and public schools from her research for Faith Ed. Teaching about Religion in an Age of Intolerance. The event is open to the public and we are all very excited to show Linda all of the work we have done in Montgomery County to be leaders in Religious Literacy and Pluralism.